Eco Egg produce around 20 eco-friendly products these days, so it's easy to forget that it all started with one simple idea. 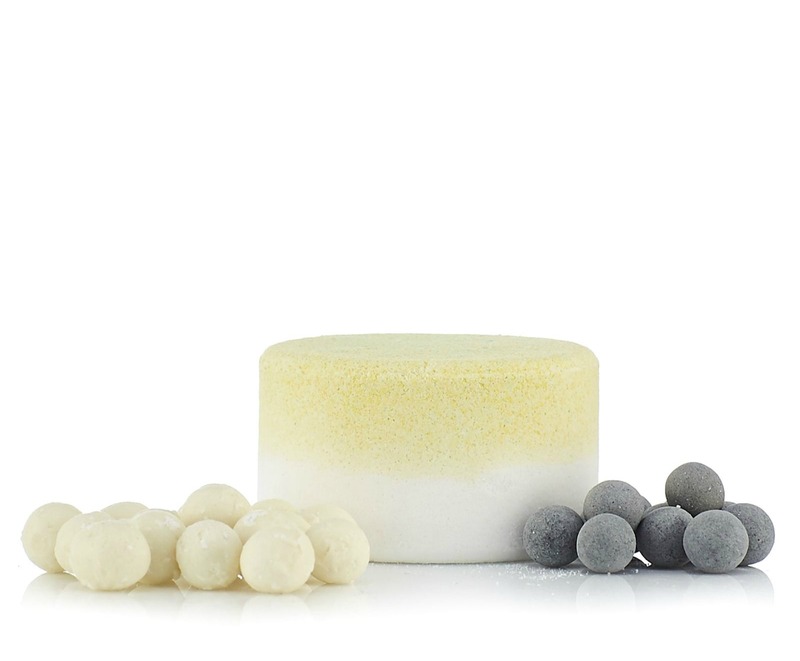 An antidote to the myriad of different chemical-based detergents that are currently available to buy. It's been seven years since the first laundry egg was officially launched, and it's gained a huge amount of popularity in that time. There have been 1.5 million eggs sold, in 34 countries around the world. If you are anything like me though, you will still be asking yourself, does it work as well as my normal detergent, and is it worth the money? In this post, we will be finding out the answer to that question and also, how will an eco stain remover cope with a stain that might be chocolate milk? We were sent a fantastic Laundry Egg pack to review, which is available for an astoundingly low price for today only (Monday 29th August) on QVC, as Today's Special Value item. You can buy it for just £17.97 by clicking the link, and here is what you get for your money. 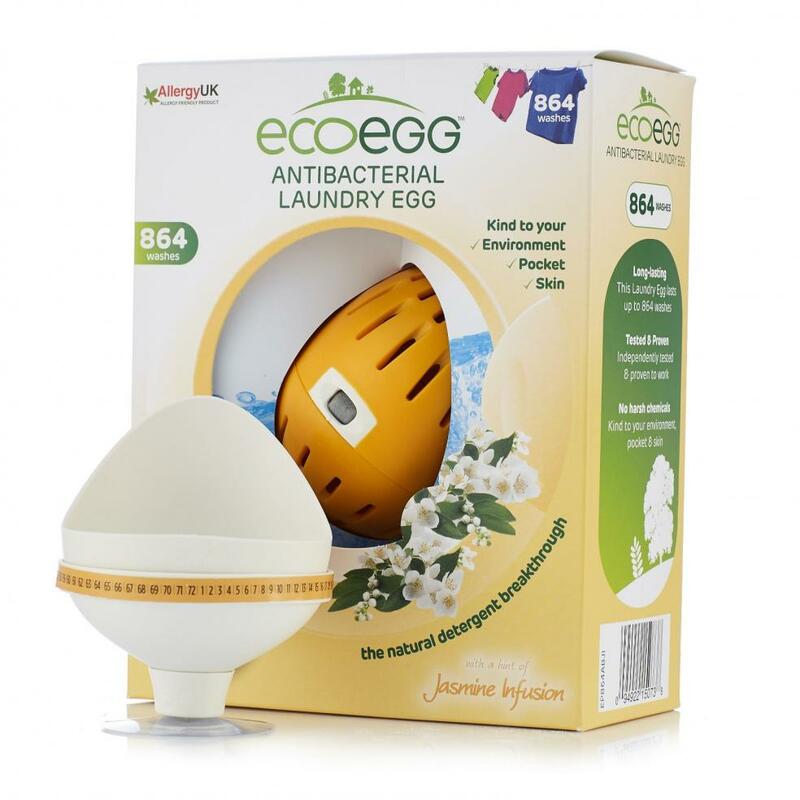 An 864 wash Laundry Egg with white egg, a double size stain remover, an Ultimate Detox Tablet and 2 Laundry egg cup holders with counter. The cup holders are exactly as described; giant egg cups! They have suction cups that can be attached on the bottom or back of the cup, depending on whether you want to stick it to the top of your washing machine, or onto the tiles near it. As mine is under the work top, I've attached the egg cups to the tiles and I think they look great. It's handy to have somewhere to keep the eggs when they're not in use, particularly as you need two, one for colours and one for whites. I have to say, for me, this is one of the additional aspects that appealed to me about Laundry Eggs, they save an awful lot of space. In the box, along with everything previously mentioned, you get a quantity of little bags of beads, enough to top up your egg, around every 72 days, for the lifetime of the product. To begin with, you fill the egg with one packet of tourmaline pellets, which never need replacing, and three packets of mineral pellets, which come in different scents and need topping up with an additional packet about every 72 washes. The additional packets you need, for the remainder of the products lifespan, take up hardly any space at all and I managed to fit mine in a small food storage tub. A world away from the gigantic box of powder I'm normally staring at! So, how did it perform? Brilliantly, I have to say. I had my reservations, but when I used it for the first time, the only difference to my usual detergent, was that the fragrance wasn't quite as strong. On a 40 degree wash, everything was clean. There was no residue, no lingering whiff, like you sometimes get with the cheaper detergent brands, just a normal, clean wash. And I know my detergents, I do A LOT of washing! This photo is a bit old now, before we painted the shed pink, but, if anything, the volume of washing we do has got worse! Another very pleasant surprise was the effectiveness of the stain remover included in the pack. I would never have imagined that an eco product could perform as well as a traditional one when it comes to stubborn stains, but I took some photos anyway, just in case. 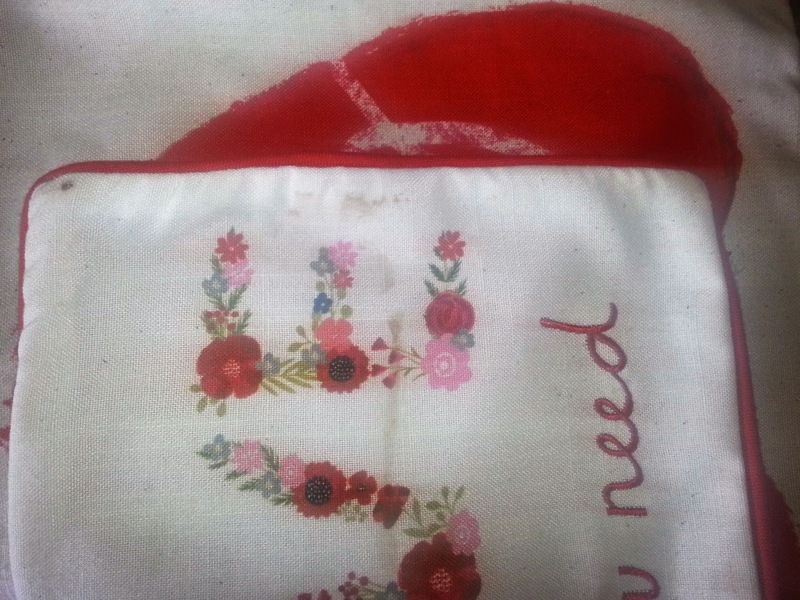 I washed all our cushion covers on a 60 degree wash, with stain remover applied to what could well be chocolate milk, but, in all honesty, I'm not entirely sure. Gravy, maybe? Who knows. 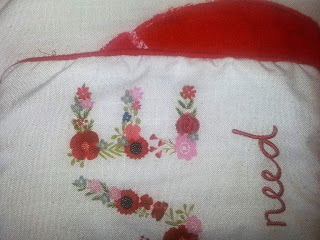 Anyway, as the photos illustrate, the stain remover worked a treat, much better than I would have expected. In conclusion, I can safely say I have learned my lesson about the efficacy of eco friendly household products. They do not have to be more expensive, as I've always assumed. 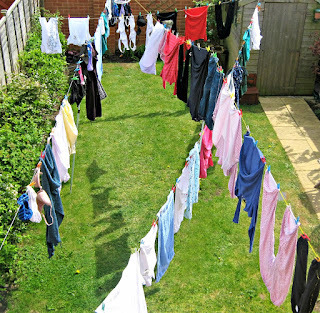 This kit will last the average family, even if they do a load of washing everyday, over two years! For £19.99!! Also, they can be just as effective as standard products, which is a massive bonus to the environment, as it makes the switch totally painless. 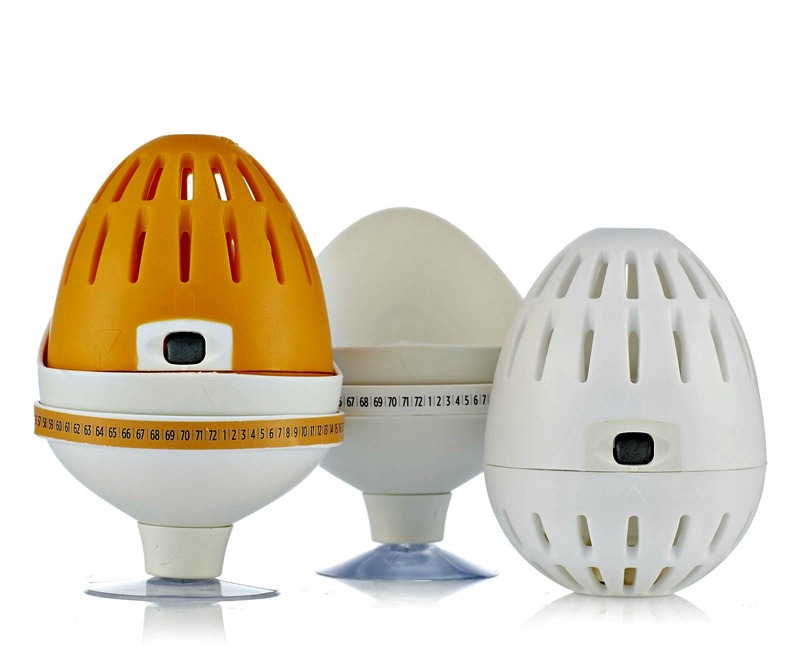 there's also a huge advantage to those with sensitive skin, since the Laundry Egg is supported by Allergy UK and the National Eczema Society and is dermatologically tested. Making it perfect for even the most sensitive skin. 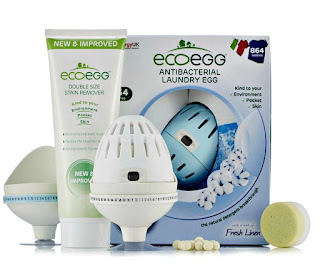 I will be investigating the rest of the products in the Eco Egg range, since I've really been converted by the value for money and other advantages the Laundry Egg offers. * We were sent a Laundry Egg pack free, for the purposes of this review, all opinions are my own. I've never seen these before. I wonder if they're even available here in Australia? I'll have to keep an eye out. I've never seen these before but I love the idea. I'm currently using ecover which is eco friendly but it does take some getting used to the natural smells as they aren't as nice as fake chemical ones that I'm used to. Wow - that really is going to save some money isn't it. I'd definitely be apprehensive that it could live up to my usual cocktail of laundry products.